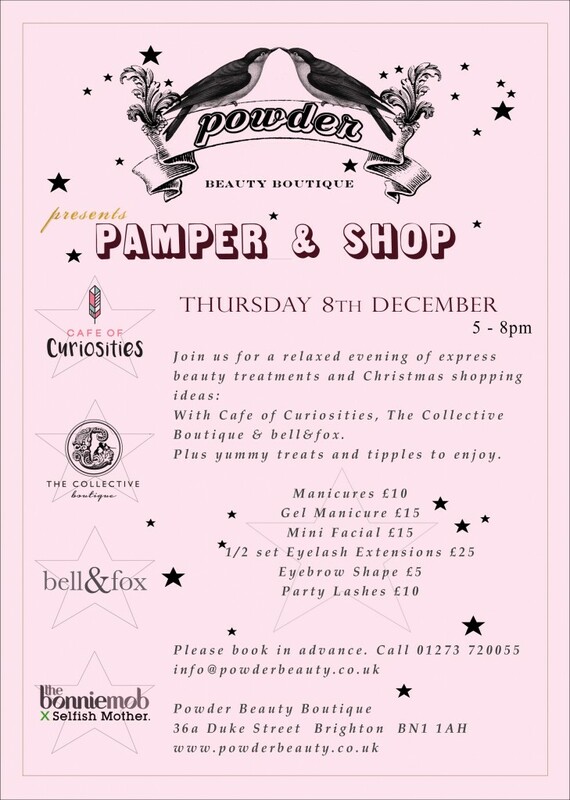 Enjoy some one-off beauty treatments in our fabulous boutique in the centre of the Brighton laines while you enjoy festive snacks & drinks with some of our favourite beauty partners! Everyone is welcome, but please let us know you are coming in advance. Call us on 01273 720055 or email us at info@powderbeauty.co.uk.